The attorney for a veteran NYPD detective accused of exposing himself last month to teenage girls in Rockville Centre said Monday that village police coerced his client into giving a false confession. Nassau prosecutors also disclosed Monday that three witnesses said the perpetrator was of a different race than the detective. Robert Francis, 46, a 17-year veteran of the force, pleaded not guilty to four counts of public lewdness, three counts of endangering the welfare of a child, four counts of criminal trespass and one count of trespass at his arraignment Monday in Nassau County District Court in Hempstead. 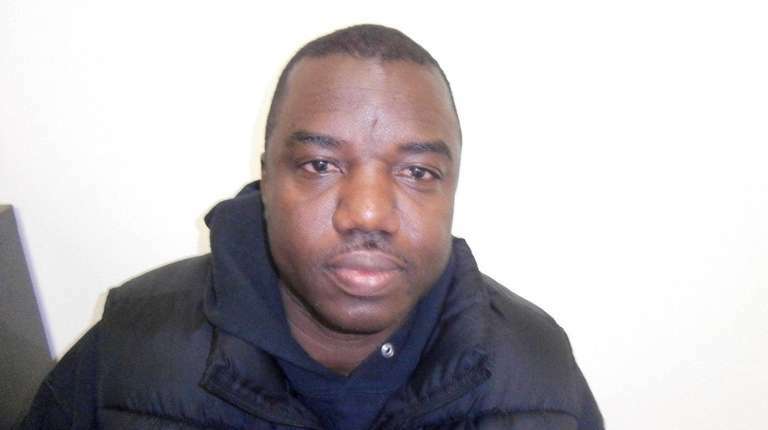 Rockville Centre police said in criminal complaints filed in support of the public lewdness charges that Francis “waived his Miranda rights” and admitted to the lewd acts. At a news conference last month, Rockville Centre Police Commissioner Charles Gennario said Francis expressed remorse to police after his arrest. In a phone interview Monday, Gennario said he’s “absolutely certain we have the right guy,” adding there have been no similar crimes reported in the village since Francis’ arrest. “I can assure you that he was not coerced into giving us that confession,” Gennario said. Francis, of Springfield Gardens, Queens, was arrested March 26 and charged in connection with four incidents in February and March in which police said the suspect followed the same pattern: entering the backyard of a home under the cover of darkness, pointing a flashlight at a window to gain the attention of one of the victims and then pointing the flashlight to his private parts. The victims in some instances were as young as 14 and 15, according to court documents. The first incident occurred at 9:35 p.m. Feb. 5 on Lakeview Avenue; the next at 9 p.m. Feb. 25 on Seaman Avenue; the third at 8:50 p.m. Feb. 27 on Brompton Road; and the fourth at 11 p.m. March 24 on Sherman Avenue, police said. Francis is also accused of trespassing a second time in Rockville Centre on Feb. 27, court documents say. Nassau Assistant District Attorney Anna Acquafredda said in court that three of the victims identified the flashing suspect as a white male. Francis is black. The police commissioner added that investigators have “additional evidence” he would not identify linking Francis to the crimes. Brill said his client was not identified in a police lineup. Brendan Brosh, a spokesman for the Nassau district attorney’s office, declined to comment on the witness statements. Asked how his client could be forced into making a false confession, Brill said “police tactics are very, very coercive in situations like this when they’re looking to a vulnerable person, a person who’s under a great deal of stress, a person who’s being held in a situation like this, especially a police officer.” He said police held Francis in the station for many hours. Francis, who was suspended without pay after his arrest, left court without commenting.